Game on! 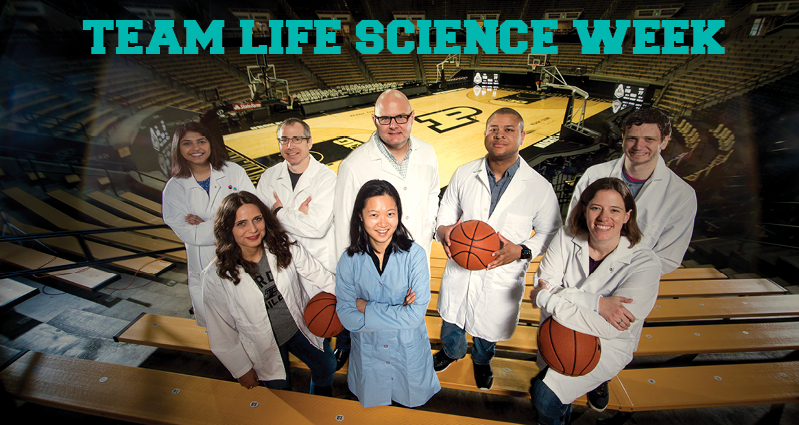 Team Life Science Week launches on March 19 with our Tipoff Event featuring short talks by Purdue’s six life science institutes. Join us in the Jischke Hall of Biomedical Engineering, Room 1001 at 2:30 p.m., where directors will review the past year, share their plans for the future and discuss opportunities for our faculty. A reception will follow. The rest of the week features lectures, tours, workshops, a gallery exhibit, a reader's theater event and a scavenger hunt. View the complete schedule here. Not receiving this email? Subscribe to our mailings.